Dealing with the passing of a patient can be very difficult. There are many coping mechanisms you can use during these difficult times. It is best to face the emotions instead of avoiding them and be open with yourself and fellow team members. According to an article on boardvitals.com, avoidance and emotional distance can exacerbate stress. Even when the situation makes withholding one’s emotions appropriate, doing so will take its toll on you. It can compound the sense of loss. 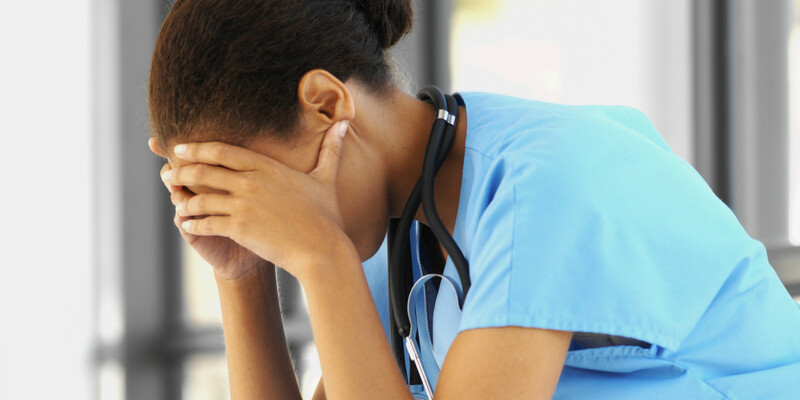 "Nurses who don’t allow themselves to process grief may feel reluctant to get close to other patients, have difficulty with personal relationships or have trouble sleeping or eating properly" said, Robert S. McKelvey, MD, a professor of psychiatry at Oregon Health and Science University. Try speaking with colleagues and friends. Most likely, they’ve been in a similar state of mind or had an experience like yours at some point in their career. From those experiences, they can give you advice on how they coped with the loss of a patient. Speaking to someone who has gone through it should help you feel better. If you feel you need more help, a mental health professional can help you through the grieving process. Praying or meditating is a practical way of clearing the worries and sorrow from your mind. Perhaps this is a better method to give you the peace of mind you can’t get from other people. Spending time outdoors or exercising can improve your mood as well. Activities like gardening, yoga, swimming, running or walking can potentially give you peace and relax your mind. Don't blame yourself or try to find a reason why. Death is a part of life. You are human and did your best to save their life. Your patient's death does not define your skill, abilities or your character. Every situation is unique. There’s no one-size-fits-all approach to dealing with death. Take time to reflect and process the experience in your own way. Most of all, take care of you so you can take care of others. You are awesome! If you have any advice on this topic, please share it here. Thank you.